Okay, you’ve read all about bullet journaling and are so excited to get started. You feel the rush of knowing you’re going to get your daily and monthly to-do lists and brainstorming ideas for your blog finally organized! Confession: It makes my pulse beat a little faster too! If you’re like me, you probably love Post-It Notes to remind you of tasks you need to do as well as create a visual “big picture” for your blog, business, or life. You may even love them so much you decide to create a Post-It Note DIY photo background. As super useful as Post-It Notes are, having a notebook customized to your needs and creativity is something you can take with you anywhere. Before jumping in, you’ll need need a bullet journal notebook. Below I’ll share tips on two of the most popular types of notebooks. I’ll compare and contrast them to help you make a choice that works best for your needs, and I’ll also let you know where you can find them. Let’s get you started on your bullet journal journey with the best notebook for your needs! There are two popular brands of bullet journals you’ve likely heard of even if you’re a novice: Moleskine and Leuchtturm1927. They are popular for their quality and lovable features. If you intend to keep your journal well after it’s filled, it’s best to invest a little more for its durability. You may want to hand them down to your kids or keep them as memories of certain times in your life. I know I still have the journals I wrote in when I was a little girl. I would doodle and draw and make little lists. Now as a mom of three little blessings, it’s sweet to look back at what my thoughts were when I was a young girl. So don’t be afraid to splurge a bit on your bullet journal, you’ll keep it forever. The Leuchtturm1927 a5 notebook is a highly rated, quality journal notebook. Founded in 1917, the Leuchtturm company is known for its quality paper products. Not only made of high quality paper, lays flat (which is always a win), comes in an array of beautiful colors, but it has extras that make it a favorite among bullet journalers, including me! The Moleskine bullet journal ranks closely in comparison with the Leuchtturm1917 A5 notebook. They are also more accessible in the States than the Leuchtturm notebook. You’ll find them in stores, where as the Leuchtturm can mostly only be bought online. Moleskine notebooks are smaller than Leuchtturm notebooks at 192 pages versus the Leuchtturm with 249 pages. The pages to a Moleskine notebook open wide, and after applying slight pressure, stay flat. This makes them easy and enjoyable to write on. The strong thread binding gives the notebooks this feature. Both the Moleskine Journal and Leuchtturm1917 a5 Notebook are great bullet journal notebooks. And I highly recommend staring with one of them. It’s common for bullet journal enthusiasts to try a Moleskine journal, become lured by the quality, and later go for the added features of the Leuchhturm1917 journal. I remember the day my Leuchhturm1917 arrived in the mail. I was elated and super nervous to write on my first page! Numbered Pages – Who doesn’t love numbered pages??? Ink Proof Paper – which means you will very rarely get bleeding through the paper, but you may get some ghosting. Overall, the Moleskine and the Leuchhturm1917 journals are very similar with a few differences some may prefer. I like both, but my ultimate vote goes to my beautiful red Leuchhturm1917. Bullet journal vs a dot grid notebook? A bullet journal, also knowns as BUJU journal, is an analog customizable and forgiving organizational system. Some may use it for to-do lists, as a planner, a sketchbook or notebook or a combination of all the above. A dot grid notebook is a page “ruling” in a notebook or a page marking. It is an alternative to plain, ruled, or grid. Dot grid notebooks features pages with a series of dots in rows that are faintly marked suggesting a grid. How big is a a5 notebook? The A5 Notebook is standard North American letter-sized paper (8.3” x 11.7”) folded in half. (Bonus Tip: Keep in mind when ordering the difference between sheets and pages. i.e. : If a notebook has 128 pages, it will have 64 sheets). Where to buy the best bullet journal notebook? It’s worth it to invest in a good quality notebook. You’ll be jotting down all of your goals and dreams in it – you may as well enjoy the texture of the paper as you accomplish your dreams! Bullet journaling is clean, simple and flexible. It’s a centralized and creative way to keep track of your ideas and to-do lists. 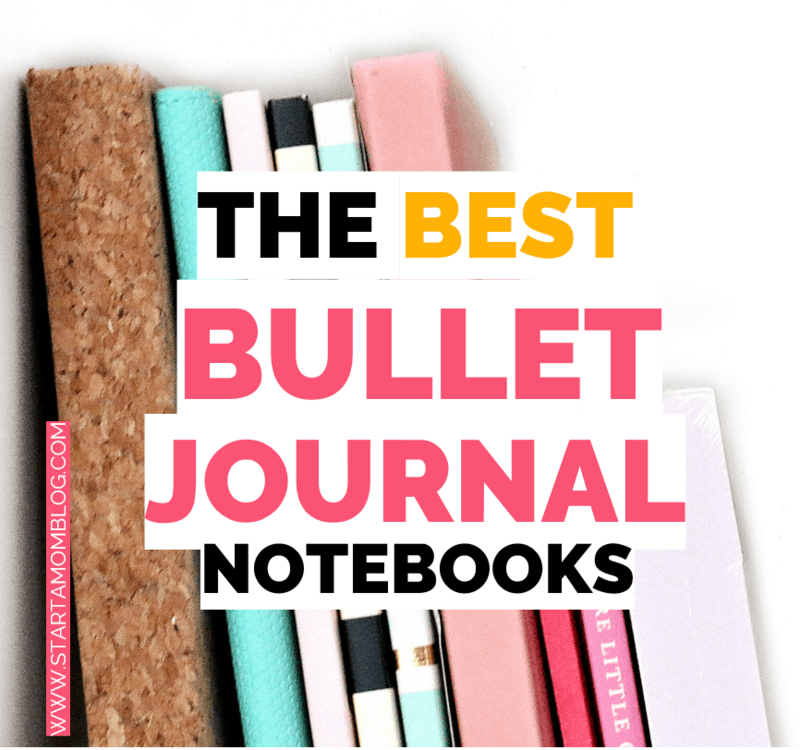 There are many sites (in-store available too) where you can find bullet journals. But my favorite is just to get it through Amazon Prime. 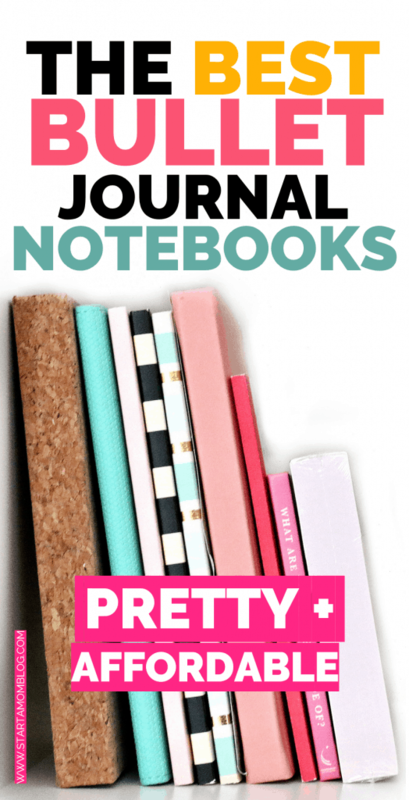 Are there spiral bullet journal notebooks? Miliko Transparent Hardcover – A5 size dot grid spiral notebook. These notebooks are sold as a 2-pack with 80 sheets/160 pages of 80g high-quality acid-free ivory white paper. You can find these Miliko notebooks on Amazon (see link) for under $20. Hieno Supplies Dotted Notebook – A5 bullet journal spiral notebook. Both bullet journals have 160 premium thick non-bleed dot grid pages / 80 sheets. Total 320 pages, no ghosting. Asery 12Pcs Bullet Journal Stencil Set With Dot Grid Notebook – The set includes 12 piece bullet journal supplies and a hardcover A5 size dot grid wirebound/spiral notebook. The stencils help transform boring pages into beautiful layouts! It’s common for a novice bullet journalist to start with a more economical bullet journal, but as the saying goes, “You get what you pay for! As mommies and bloggers, it makes sense to invest in a product that is durable with all the special features to make brainstorming and planning super simple! Something to keep in mind when purchasing a bullet journal notebook is the paper quality and which other features are important to you (i.e. : paper quality, durability, the number of bookmarks, pre-printed index, and colors). If the bullet journal is for your blog and business you’ll want to look for a quality notebook – it is your planner and something that will be critical to helping you plan and keep on top of tasks and events to grow your business. I know once you start bullet journaling you’ll be hooked! If you’re still stuck, start your bullet journal with these easy steps!